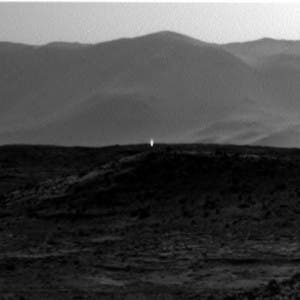 The photo right above was captured by the Curiosity Rover’s right-hand navigation camera , currently deployed on Mars and on route to Mount Sharp, which shows a striking flare of light seemingly torching near the horizon. Taken on April 4th, the photo somehow made its way to the general public (bad idea NASA) and stirred international turmoil back on Earth, where ufologists dissected and scrambled the photo on all its sides. 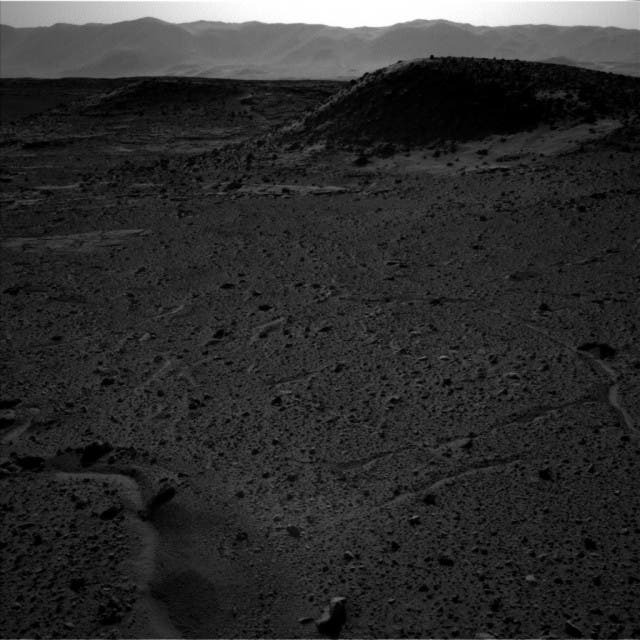 Clearly, this is proof that artificial light sources exist on Mars, and who else than Martian could have made them? The truth may actually be much simpler. The couple of meters tall flare is evidence that may indicate that there is intelligent life on Mars, which lives underground, that uses light sources similarly to us humans, says Scott Waring, a ufologist who runs the fantastic UFO Sightings Daily website. So what does NASA have to say about all this? The agency said that these sort of flares, albeit maybe not this large or striking, appear in photos and video streams a few times every month, and that there various reason why this may happen: sunlight beaming off a sharp rock with Curiosity’s camera facing it just at the right angle, sunlight striking the CCD imaging sensor directly through a hole in the camera’s housing or, unlikely enough, a a high-powered cosmic ray picking that exact moment to strike the sensor. NASA’s policy of dealing with conspiracy theories is the same like dealing with terrorists: no negotiation. Ideally, the rover could have gone straight to the flare’s location and investigate, but the Curiosity mission is not some child’s play science project. It’s a multi-billion project whose primary goal is that of finding evidence or signs of present or past life on Mars – this flare doesn’t count, and the team at the Jet Propulsion Lab need to stick to their plan if they’re chances of success are not to fall. The rover is currently on route to the base of Mount Sharp, where it will continue its investigations, but even on this course, which has been extensively mapped and configured for maximum safety, there are perils – sharp stones that can perforate its wheels, loose stones that can trap the machine and more. With so much at stake, no one feels like risking it all for some old wives’ tale. In the rover’s defense, Curiosity has already proved its worth and plenty! Its findings prove that Mars was once capable of sustaining life, held important quantities of water and much more. Also, to further enlighten conspiracy theorists I present exhibit B. 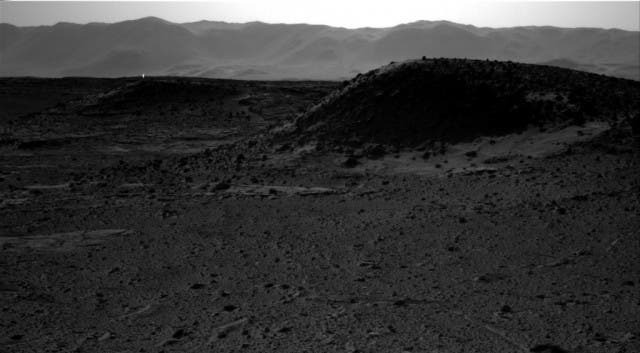 While the first shot was taken by Curiosity’s right-hand CCD, the one below was taken exactly one second after with the left-hand navigation camera. The ghostly flare has vanished and went back whence it came.